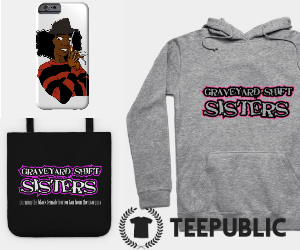 There has been steady momentum for the visibility of women in the horror community for well over ten years. 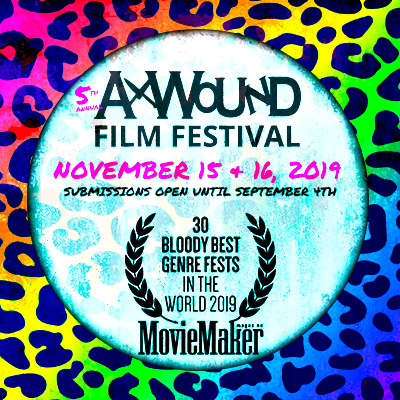 Since the birth of Women in Horror Month, not only are there grassroots efforts motivated to make the invisible visible by showcasing women creatives within the horror genre, but additional academic studies and major media outlets have brought this movement to prominence. However, storytelling and discourse regarding the convergence of race and gender in this space has been heavily unexplored. Examining films by women of color in horror unravels cultural anxieties that are unique to the interlocking systems that women of color experience. 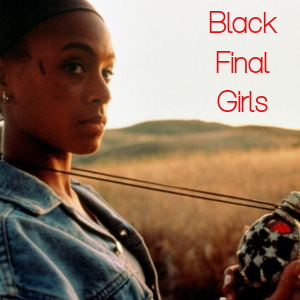 In particular with Black women, there are vast stories that are deeply personal to their identities that create original and haunting films that invite audiences to consider alternative perspectives while incorporating familiar tropes. 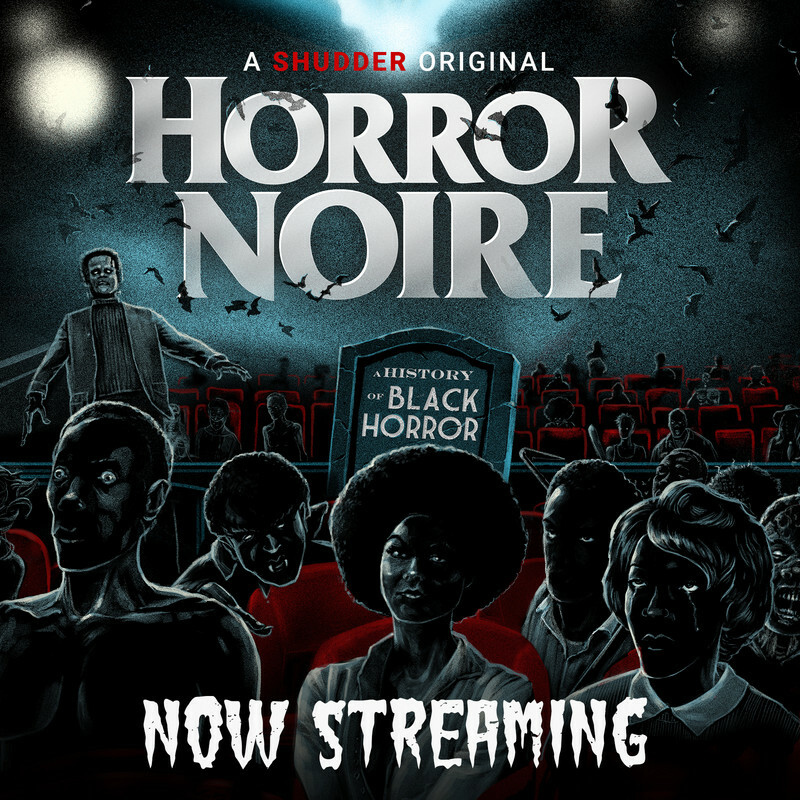 Regardless of the lack of exposure and minority status, emerging from the horizon are independent horror films written and directed by Black women. Filmmaker R. Shanea Williams’ award winning horror short, Paralysis (2016) explores the isolating nightmare of Jessica Sulloway (Nia Fairweather), a photographer suffering from sleep paralysis and possibility something supernatural. This film weaves Jessica’s emotional weight with dream-like, unnerving dread while addressing the concerning disdain the Black community has to approaching mental health. 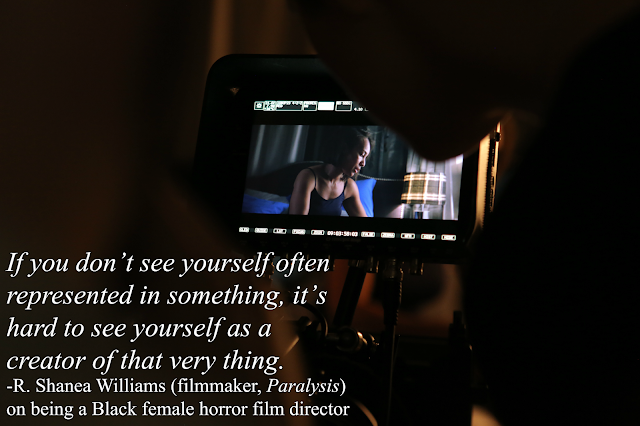 Additionally, Paralysis creates visibility for fully developed, central Black female characters in horror cinema. The film’s story sheds light on the mental health issues faced by Black women that aren’t depicted enough in media and rarely in the genre’s current period for women of color characters. 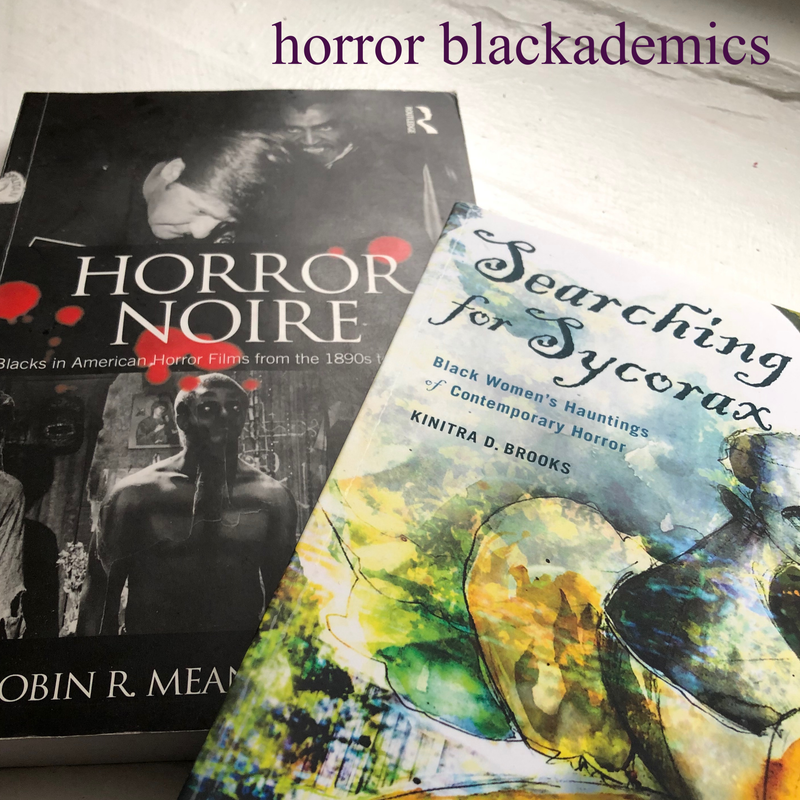 By exploring the varied, lived experiences of Black women, horror can be used as a tool to expose newly considered truths and strengthen the continued tradition of horror’s transformative, socio-political commentary that provides reverence to an oftentimes misunderstood genre. Paralysis is crafted as a quiet, dark piece to reflect Jessica’s state of fragility due to her condition. When we meet her, she appears exclusively committed to the basic, around-the-home routines but is severely distracted. She limits her contact with others and stays primarily confined to her apartment. Those she does encounter only fuel her distress, almost demanding she be pro-active in leaving her apartment more, getting a good night sleep, or feigning skepticism about what she’s experiencing. The latter, an encounter with an even-toned white parapsychologist immediately suggests that a desperate Jessica has mistakenly chose the wrong doctor for treatment. When she’s alone, she acts in ways that distort the perception of reality for both herself and the viewers. Neither of us are certain whether Jessica’s paranoid episodes are being ignited by a force that haunts her or if they're a physiological response to her lack of rest. What Jessica is experiencing is all in her mind, right? By not revealing a “monster,” we waver in our confidence as audience members to align with Jessica. But there’s a balance brought to this uncertainty. To enhance our viewing experience, we learn just enough about Jessica to empathize with and take her seriously. Each of these careful moments point to her sleep paralysis as a crippling component to her quality of life. Psychological horror films are a treasured mainstay in the genre. With inklings of Jacob’s Ladder (1990) and Mickey Keating’s Darling (2015), Paralysis fits right into the canon. Even with formidable comparisons, Paralysis stands a part as a ripened source of alternative discourse in horror criticism by way of its optics. The film takes the opportunity to directly put a mirror on mental health in the Black community by focusing on a Black female protagonist whose biggest hurdle is the terror trap of her own mind. The Health and Human Services Office of Minority Health report that “African Americans are 20% more likely to experience mental health problems than the general population.” However, reluctance to seek treatment amongst African Americans has been a going concern. The reasons for this often include a reliance on faith, lack of resources and access to professional mental health care providers, as well as cultural barriers that prevent Black patients from receiving a “safe space” treatment where they feel their stressful experiences with racial discrimination won’t be questioned. These circumstances can make it difficult for a large number of Black people to recognize that they may need or should pursue psychological or psychiatric care. Williams has taken to genre filmmaking to place a spotlight on these struggles. “I always wanted to write about mental illness in the black community because it’s a subject that is still taboo,” Williams says. “I have struggled with depression and anxiety throughout my life and knew I wasn’t alone in this struggle. I also love psychological horror – the idea of the mind itself being more monstrous than any creature or crazed slasher. I am also a fan of supernatural horror – this exploration of the unknown.” In conjunction, Williams adds, “all my work is motivated by my desire to see African Americans, especially African American women, portrayed as intriguing, multi-layered characters.” While addressing the issues surrounding mental health in the Black community is “largely absent from the public discourse,” Williams made it her intimate and artistic purpose to plant a film in the horror genre that is a part of breaking that stony silence and shattering any resistance to a Black female lead. Paralysis is only the genesis of the work we’re seeing from Black women filmmakers who are interested in making films that fall under the horror category. Moving forward, it is my hope that work like this gains more exposure, coverage, and consideration. 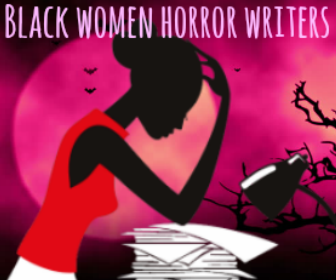 Cinematic horror stories, as told by Black women are distinct, fresh, and vital if the genre is to progress in a direction that lessens any concern about the genre becoming complacent or going stale. Remakes, possession narratives, and reboots tend to dominate the themes racing through horror’s veins at the moment. 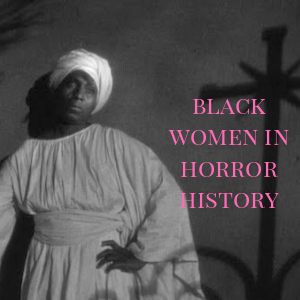 While there's a slow ascendance of people of color leads in the genre, I’m always encouraged by work like Williams’ and other Black women like her whom defy obstacles and biases and fully lean their efforts towards creating the future of horror cinema.